PORTLAND, MAINE — December 28, 2017 — In a year that saw significant challenges for Maine’s Wild Blueberry industry, one program – launched last year by the Wild Blueberry Commission of Maine – has been a bright spot. According to the USDA’s Agricultural Marketing Service sales data, the Commission’s national Wild Blueberry School Foodservice Program increased sales by 57 percent in 2017, expanding from 1.18 million pounds sold in 2016 to 2.78 million pounds sold in 2017. 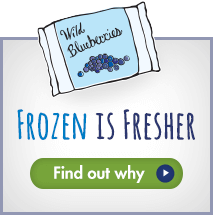 Wild Blueberries are now being carried through the USDA Commodity Food Program in 22 U.S. states. New states added in 2017 were: Arizona, Florida, Michigan, Minnesota, North Dakota, South Carolina, Tennessee, Virginia, and Washington. McBrady explains that the Wild Blueberry Commission of Maine has employed a key strategy that differentiates Wild Blueberries from cultivated blueberries, emphasizing their taste and nutritional advantages and new USDA yield data, which demonstrates that one pound of frozen Maine Wild Blueberries provides 25% more servings than the same weight of frozen cultivated blueberries. McBrady also noted that 36 U.S. states purchased blueberries in 2016, so Maine’s Wild Blueberry presence in 22 states represents well over 50% reach in all states using wild or cultivated blueberries in their school programs. Encouraged by its successes, the school foodservice program will kick off 2018 with an enhanced advertising strategy; expanded participation in national conferences and tradeshows; and a targeted list of new prospects, including cultivated blueberry strongholds, California and New Jersey.